Italy is a fantastic holiday destination – it really has something for everyone. 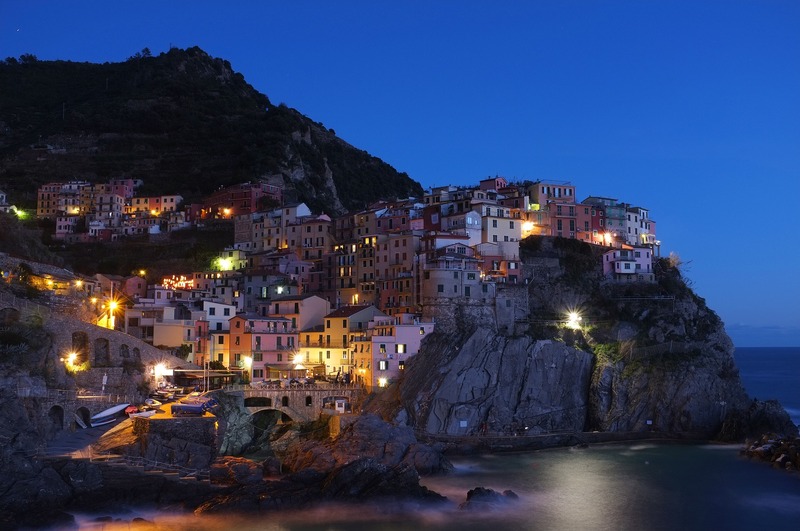 Italy is a fantastic holiday destination – it really has something for everyone. It offers fabulous Mediterranean weather, delicious yet healthy food (if you don’t count the ice cream), fabulous wines, beautiful scenery, one of the best art collections in the world and an astonishing historical back catalogue. Avventure Bellissime – the Italian tour and holiday specialist has put together this ultimate A,B C of the top must see attractions in Italy. If it makes you want to pack your bags and hop on the next plane – make sure you visit their tours-italy.com website for information on everything they and Italy have to offer. A is for Amalfi Coast - Visit the Amalfi coast and travel the coastal road for the ultimate Italian experience. Beautiful towns and villages, set against a stunning backdrop of dramatic cliffs and mountains and the inviting, deep blue sea. B is for Bologna - Head to Bologna – Italy’s culinary capital and home of the oldest university in the country. Make sure you taste the dish the city gave its name to – Bolognese. C is for the Colosseum – No visit to Rome, or indeed Italy, would be complete without a tour of this Roman masterpiece. D is for the Dolomites – hike, bike, ski or drive in the arrestingly beautiful northern Italian Alps. 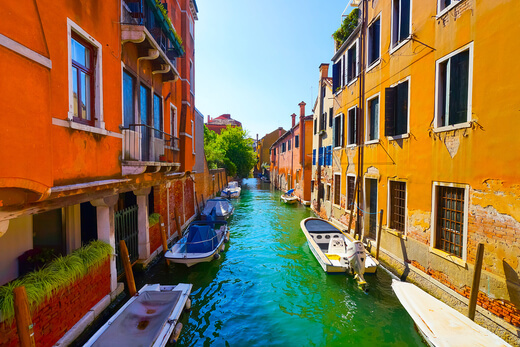 E is for the Essence of Venice – a unique walking tour from Avventure Bellissime which takes in an in-depth tour of St Mark’s Basillca, St Mark’s square, Doges Palace, Bridge of Sighs before visiting hidden Venice, a lesser known part of the city where you’ll here about the people who built the city from scratch. F is for Florence - climb to the top of the Duomo’s belfry for a beautiful view of the city. And see Michelangelo’s statue of David in Florence’s Galleria dell’Academia. Florence is full of must see sights. H is for hill towns – visit the atmospheric hill towns outside of Venice in the region of Veneto. See medieval fortified castles and renaissance palaces, surrounded by lush green hills and beautiful views. And seeing that you’ll be in the prosecco region, you can soak all of this up with a glass of local prosecco wine in hand. I is for Isola di Burano – if you are in Venice, then this should also be on your itinerary. A quaint little island around 45 minutes away where all the houses are painted in beautifully bright pinks, greens, oranges etc. It’s famous for its lace and here you can enjoy the variety of restaurants as well as the craft shops. J is for Juliet’s house. Take in a walking tour of the beautiful city of Verona and follow its history – from Roman times, through the troubled medieval times and of course, visit the Casa de Giuilietta – scene of the ill-fated Romeo and Juliet’s love affair. K is for kissing. 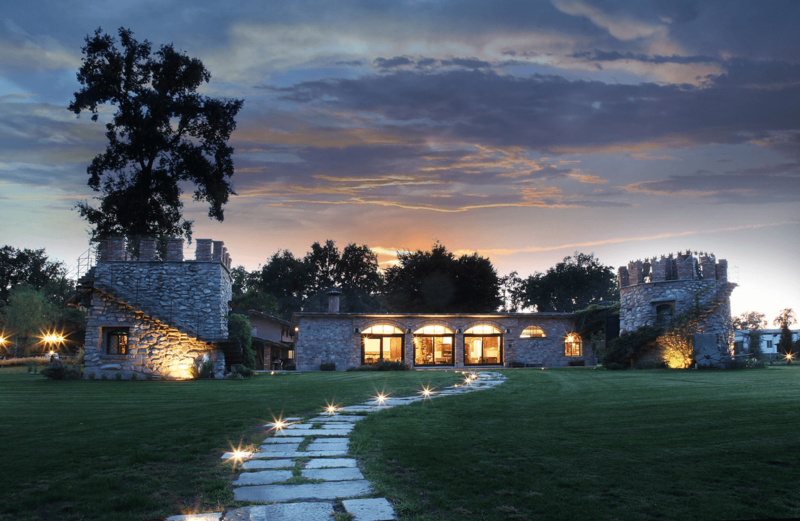 Well, Romance, actually, and one of Italy’s most romantic areas – Tuscany. Travel from Florence on a ‘wine and romance tour’ which takes in the romantic Tuscan countryside, idyllic towns, vineyards and olive groves. L is for the Last Supper. Visit Milan and spend time contemplating Da Vinci’s Last Supper masterpiece. M is for Milan. As well as the Last Supper, soak up the cosmopolitan city and take in the gothic cathedral and the oldest shopping mall in the world. N is for Naples. Italy’s third largest city has a historic centre that is a Unesco World Heritage Site. Given its coastal location and rich soils, it boasts that it serves the best pizza and pasta in the country. O is for Opera and the beautiful La Scala Opera House in Milan. Inaugurated in 1778 and has hosted Italy’s and the world’s greatest operatic artists. P is for Pompeii. Explore Pompeii and visit the Roman ruins of the town that was destroyed when Mount Vesuvius erupted in 79AD. Excavations have uncovered houses, markets, baths, temples and even streets with chariot tracks. Q is for….no queues. If you’re planning to tour the top sights of Italy with Avventure Bellissime, then you will usually benefit from ‘skip the line’ tickets, meaning there’s less time queue and more time to view. R is for Rome’s Pantheon. From the Greek, meaning ‘temple of every God’, it dates from around 126 AD. If you visit the Pantheon, you’ll see that it’s one of the best-preserved Ancient Roman buildings – mainly because of its continuous use. S is for Sistine Chapel. See Michaelangelo’s beautiful masterpiece on the ceiling of the Sistine Chapel in the Vatican. Breathtaking. T is for the Trevi Fountain, Rome. Throw a coin in to guarantee your trip back to Rome again. Over 3000 Euros are thrown in every day on average! It’s the largest fountain in Rome and a beautiful sight – particularly in the evening. U is for the Uffizi Gallery, Florence. Home to a fabulous collection of Renaissance Art. It’s a city steeped in culture. U is also for Underground Rome. Take a tour of the Roman Catacombs – underground burial places, some of which have only been recently discovered. V is for the Vatican. Visit the Vatican State – the smallest country in the world in terms of size and population. It has one of the world’s best art collections – make the most of it with a guided tour of the Vatican Museums. W is for walking. One of the best ways to really get close to Italy and all it has to offer is to partake in walking tours in its various cities and towns. Avventure Bellissime are experts. These are just some of italy’s most popular sights. The team at Avventure Belissime are experts in Italy’s top attractions as well as Italian tours and holidays and with their help you’ll be able to build the perfect holidays to Italy. They offer everything from Italian vacation packages to private one-day tours.